There’s a back story in this post, but all you really need to know is that these cupcakes are near and dear to my heart. They make me different. And they’ll make you the hit of your next party. Feel free to multiply the recipe for a bigger crowd, just stick with the same ratios. My original recipe is delicious, but go ahead and make it your own. Use mild or extreme heat buffalo sauce to suit your tastes. Throw a 1/2 cup of shredded cheddar cheese into the batter. Or if you prefer your wings with ranch, nix the blue cheese in the dressing in favor of a packet of ranch seasoning. Line 9 cupcake tin with paper liners. Preheat oven (to the specific temperature for your cornbread mix) and prepare corn muffin batter as instructed by package. Stir shredded chicken and wing sauce into batter. Spoon batter into prepared liners and bake according to package instructions. 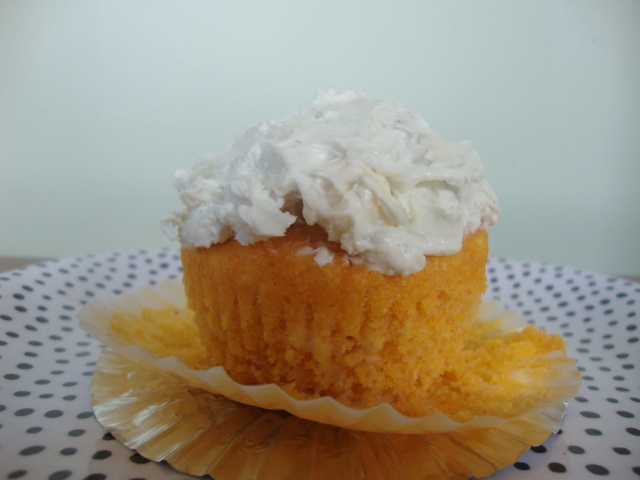 For frosting – Combine cream cheese, butter, and blue cheese in a medium bowl and cream with an electric mixer. 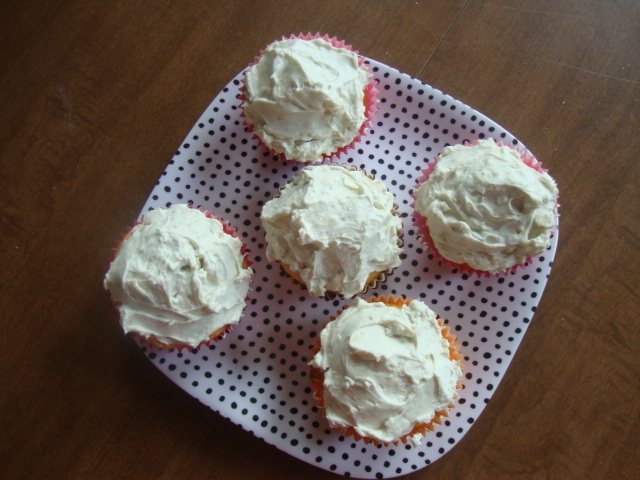 Be sure cupcakes have cooled completely before frosting.